Separate the calyx flesh from the seed pod. 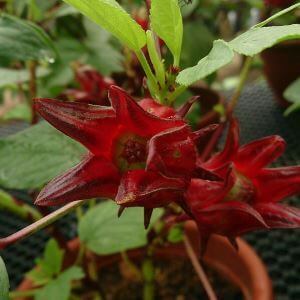 Place all seed pods in a saucepan, and the calyx flesh in a large cooking pot. Cover each with just enough water and bring to boil. Reduce heat and simmer each for 40-60 minutes. Strain the calyx pulp through a medium strainer. Strain the seed pods through a fine strainer. Keep the liquid — this is homemade pectin. Add ½ cup of the pectin to the calyx pulp and weigh. Weigh an equal amount of sugar and add to the pulp and pectin. 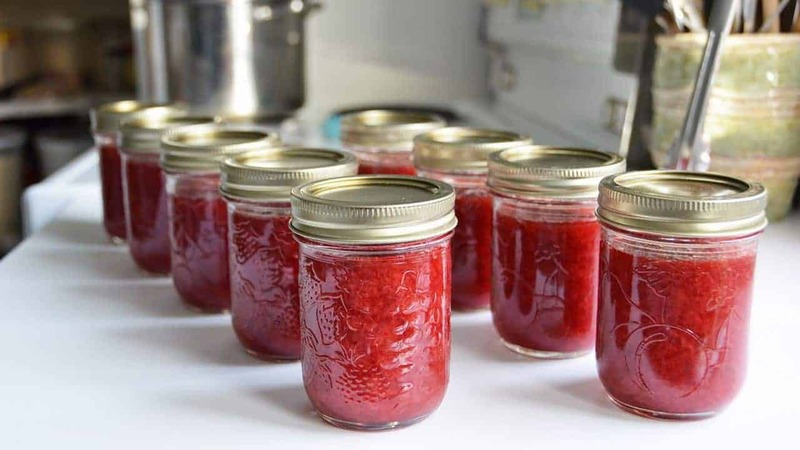 Bring your jam mixture to boil then reduce heat to simmer for 40 minutes, stirring occasionally to avoid burning. Check if mixture has reached setting point by pouring a teaspoon onto a cold plate. If your sample remains syrupy, continue simmering and check again every 5-10 minutes. The mixture is ready when a cooled sample takes on a jam-like consistency.